The black Rigid EPS Foam Lightweight Case with Wheels for Slim 76 Note Keyboards from Gator is for the journeyman pianist who needs a rugged and functional bag to hold his keyboard and accessories. The rugged nylon exterior is complemented by an EPS (Expanded Polystyrene) foam interior that is reinforced with a durable frame. The interior contains padded and adjustable straps that surround your keyboard and hold it firmly in place during travel. At 24 lb, Gator knows it can be heavy toting this around so they have incorporated plastic wheels into the case for easy navigation of parking lots, ramps, backstage areas or studio hallways. The wheels are pulled via two nylon webbed handles and a tow bar. The bag is sealed with two strong zippers. Two exterior zippered pockets are designed to hold your accessories such as pedals and cables. 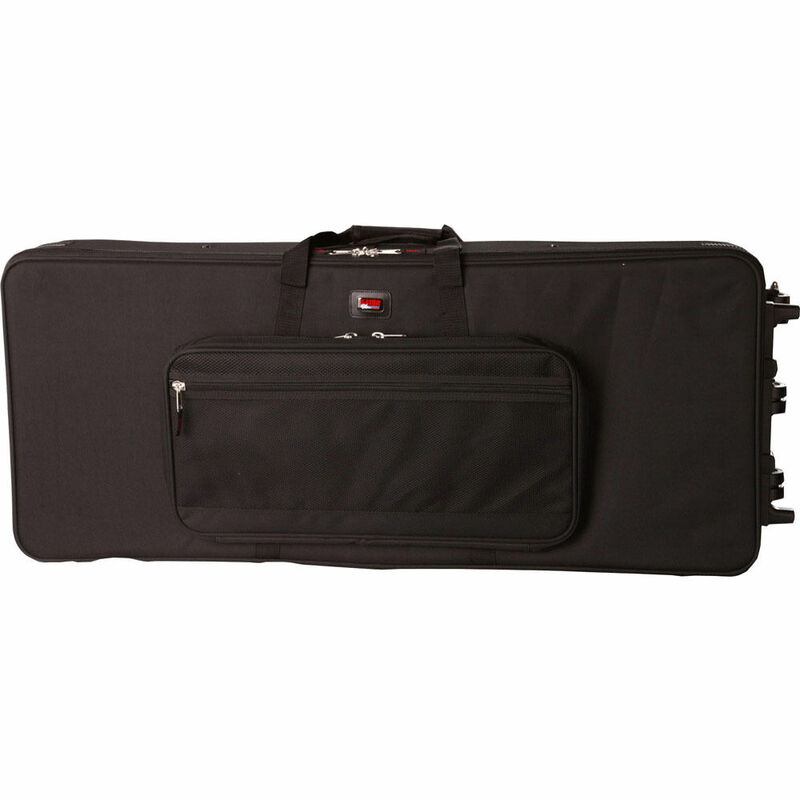 Backed by Gator's limited lifetime warranty, this case will help you get from gig to gig knowing your keyboard is safely stowed inside a case built for heavy usage. Box Dimensions (LxWxH) 58.0 x 14.5 x 8.5"